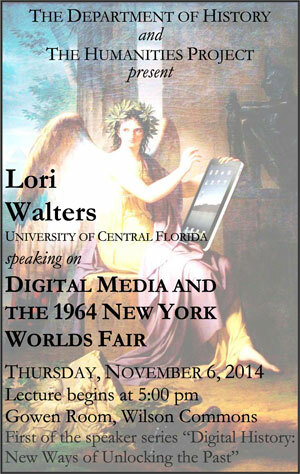 Lori C. Walters is a Research Assistant Professor with a joint appointment with the Institute for Simulation & Training and Department of History at the University of Central Florida. She has served as the Principal Investigator on grants funded by the National Science Foundation, National Endowment for the Humanities, US Army, and the State of Florida. Her research focuses on how digital environments can enhance interdisciplinary learning for elementary and middle school children. Her most recent project, ChronoLeap: The Great World’s Fair Adventure, addresses the 1964/65 New York World’s Fair. Dr. Walters has also worked extensively to preserve the legacy of activities at Cape Canaveral. Past efforts include Shadows of Canaveral and The Zeppelin Menace. She teaches courses addressing post World War II America, history through film, history of the future, and digital history.